Thank you visiting my site, I hope you find it helpful in your search for a home in/on New Listings Amanda Drive, Studio City CA. On the site you will be able to search by area, bedroom count, price range. Please know that if you are looking for a more specific search, my team and I are available to you. We/I can create a search by address, street, radius, map and a list of other criteria’s such as pool, views, tennis courts, style etc. 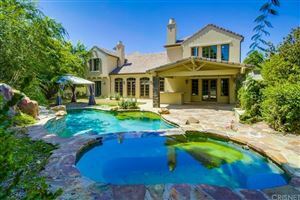 The New Listings Amanda Drive, Studio City CA is a highly desirable area. If you see something of interest please call or email the office and we/I can coordinate a day and time to show the property. In this market it is normal for it to take 24-48 to be able to book a showing. The sooner you let us/me know the day and time you are available to see the better. The sellers may ask for proof of funds prior to showing which is fairly normal practice. In the event we receive any request of this matter we would let you know immediately, all we would need is a bank statement or letter for accountant etc. If you have any question or concerns please don’t hesitate to call the office at 310-275-2076 or you can always reach me by cell at 818-445-9557 every day of the week. Based on information from CARETS as of 4/21/19 8:29 AM PDT. The information being provided by CARETS is for the visitor's personal, noncommercial use and may not be used for any purpose other than to identify prospective properties visitor may be interested in purchasing. The data contained herein is copyrighted by CARETS, CLAW, CRISNet MLS, i-Tech MLS, PSRMLS and/or VCRDS and is protected by all applicable copyright laws. Any dissemination of this information is in violation of copyright laws and is strictly prohibited.